Topics: Sofitel, Pullman, and Mgallery. It is hosted by Agarik Is A French Web Hosting Company Based In France Saint-ouen, using Apache web server. indom20.indomco.net, indom30.indomco.fr, and indom80.indomco.hk are some of its 5 Nameservers. 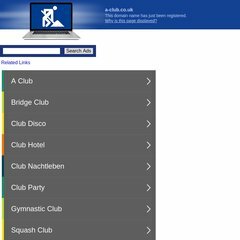 A-club.co.uk's server IP number is 217.174.207.108.